Posted on July 31, 2018 at 3:37 pm. 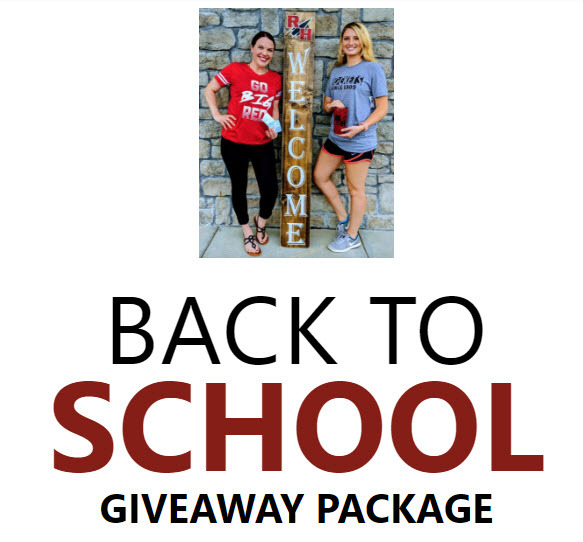 Enter to win a back to school giveaway package! We have a beautiful handmade wood sign by our Vintage Marketplace vendor, Sunflower Lane, two custom design t-shirts by Idle Hands Design, two RH logo vinyl decals, and a fun tumblr by sippin Sparkles by Lindsey.